As your dog ages, you may notice that they are slowing down and exhibiting several of the classic signs of joint pain in dogs. This can be devastating for any pet parent because you want your dog to be comfortable and happy throughout their lives. However, there are several things you can do to help ease your dog’s discomfort without having to have them undergo surgery. These simple things can lead to a happy, healthier dog, even as they get older. Since your dog can’t come out and tell you that they’re in pain, you’ll have to observe them and look for one of these classic signs. If your dog hasn’t experienced any trauma and you notice that they seem to limp when they get up and walk, this is a sign of joint pain. Dogs experience joint pain commonly in their hips as they age, and this can lead to limping. Your dog’s hip joints can become inflamed as they age from simple wear and tear, and this makes them less prone to use them. By limping, they avoid using the joint as much, and this can help reduce the amount of pain or stiffness they may feel. Arthritis is a common ailment in older dogs, whether they’re a large or small breed, and this can cause them to limp. By definition, arthritis is an inflammation of the joint, and it came come from simple aging or trauma to the area. Many homes have more slippery floor mediums in places like hardwood flooring, tile, or laminate because they’re easier to clean and they look very nice. However, they can be a safety concern for your dog because your dog won’t be able to get a good grip as they walk or run over this type of flooring. Your dog is even more prone to slipping on your floors if they’re experiencing joint pain because their gait is off due to them being in pain. They may try to favor one leg over the other, and in doing this, they are more likely to overbalance or slip, especially if your floor doesn’t have any traction. Hardwood or slippery flooring can also cause your dog not to get enough traction to move or bend their joints properly, and this increases the chances that your dog can experience loss of mobility or stiffness when they do move. As your dog ages, their bodies begin to produce less growth hormone and they begin to have difficulty processing protein. 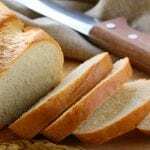 When you combine this with joint pain, you have a powerful combination for muscle loss, and some cases develop very rapidly. You may notice this loss of muscle in your dog’s hindquarters, especially around their back legs and hips. If your dog is experiencing joint pain, they’re more hesitant to extend and use their joints, and this leads to muscle disuse as well. A healthy dog works all of their muscles, and this increases the blood flow through all of them. When your dog doesn’t move or use their muscles as much due to pain, the blood flow is reduced, and the muscle begins to deteriorate. It’s normal for your dog to move less and sleep more as they get older, but this can also produce problems with their appetites and weight. If your dog is experiencing joint pain, they’re typically more hesitant to get up and move around unless they have to. If you continue feeding your dog the same amount of food but their activity level decreases, they can start to gain weight. However, this can also go in the other direction as well. Your dog may experience a change in their appetite and it may decrease because it is common for dogs to reduce the amount of or stop eating altogether when they’re stressed or in pain. If you’re concerned about your older dog’s lack of appetite, you may want to consider taking them to your veterinarian for a checkup. Arguably one of the easiest signs of joint pain with your dog is that they’re more hesitant to jump on and off furniture, or they suddenly dislike to go on walks when they enjoyed it before. Your dog may also become hesitant to climb up and down stairs or get in or out of the car. Your dog quickly learns what hurts and what doesn’t when they have joint pain, and jumping or walking puts pressure on their already inflamed joints. In turn, they experience more pain, so they go out of their way to avoid those common activities. Additionally, the more your dog uses their joints, the more inflamed they can become, and this may be a reason why they don’t want to go on walks like they used to. Walking on uneven ground can also irritate their joint pain as well. When dogs are stressed out, anxious, or in pain, they can quickly become more irritable and have noticeable personality changes. Again, they can’t tell you that something hurts, so by becoming more prone to snap or growl at you, they’re communicating that they’re in pain. 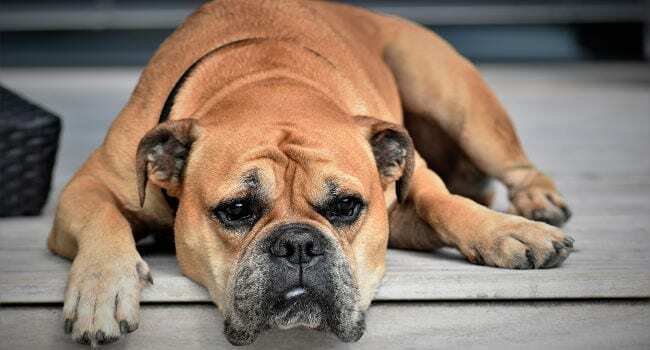 Your dog may not know what is causing their pain, but sometimes something as light as touching their sore areas is enough to make them snap at you because the pressure causes their pain to increase. This can also increase their aggression levels if their pain increases. Once you’ve begun to treat the cause or causes of your dog’s pain, their irritability levels should begin to drop as well. Nipping, snapping, growling, or just not wanting to be touched can all be signs that your dog is suffering from joint pain. Your dog may start to lick, chew, or bite at any areas where they are experiencing pain in an attempt to alleviate it. One of your dog’s first instincts is to clean and care for a wounded area, whether the pain is internal or external, and they do this by licking or chewing at the area. You can usually tell if they’re fixated on an area because the skin may be irritated from the constant attention. It can also lead to hair loss or even open sores where your dog had dug at their skin in an attempt to soothe their joint pain. Your dog is smart, and it won’t take them long to figure out that when they move around a lot, their joint pain can increase. They can quickly become very lethargic and not want to move around a lot because it feels better when they’re still. Also, older dogs generally have less energy than they did when they were younger, and this can lead to them being more lethargic as well. If you combine this reduced energy levels with inflammation or pain, you have the perfect recipe for a lethargic older dog. Now that you know what the eight common symptoms of joint pain are, you have to know how to treat it without surgery to give your senior dog some relief. 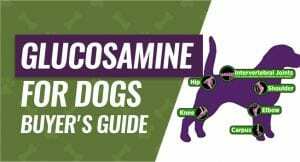 One of the most popular arthritis supplements is Glucosamine, and this is a naturally occurring substance that you can find in your dog’s healthy cartilage. As your dog ages, their bodies naturally produce less glucosamine, and this will eventually lead to joint pain, inflammation, and stiffness. The natural and ongoing wear and tear on your dog’s joints combined with your dog’s slower ability to repair their cartilage can develop into more severe medical problems like arthritis. Pet parents frequently give their older dogs Glucosamine supplements in order to help them combat their joint pain and stiffness. 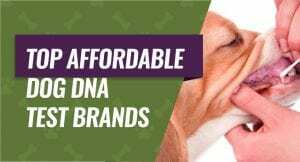 The Glucosamine supplements will help reduce your dog’s pain levels due to their joint inflammation because Glucosamine is a natural anti-inflammatory. In addition to this, it will also help to lubricate your dog’s joints, and this can lead to easier movement, better muscle support, and easier movements. On a medium-sized dog like a Golden Retriever, an additional seven pounds is equivalent to 12.5 pounds to a human and on a small dog like a beagle, an additional five pounds is equivalent to an additional 20 pounds to a human. Just like a human, the additional pounds put more stress on your dog’s joints. If you notice that your senior dog is slowing down and starting to gain weight, you can help them combat this by implementing weight management strategies and an exercise routine. You can start by adjusting your dog’s calorie intake or by putting them on a weight management dog food formula to help them slim down. You can also get your dog out and more active because light exercise will help them lose weight. If you’re worried about their joints, you can take your dog swimming or utilize water-based exercise because the water will keep your dog from putting extra stress on their joints. If you’ve tried natural supplements and helping your dog lose weight, but they’re still experiencing a lot of pain and stiffness, it may be time for pain medications. It doesn’t have to be strong painkillers to do the job either as aspirin is an excellent anti-inflammatory pain medication. 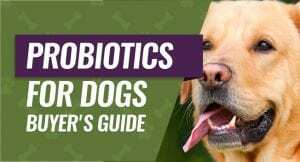 Nonsteroidal Anti-Inflammatory Drugs (NSAIDS) are usually the first tier of pain medications your veterinarian may recommend to help you combat your dog’s joint pain and stiffness. You may use these alone or along with natural herbal supplements like Glucosamine. The next tier of pain medications that your veterinarian may recommend are Corticosteroids, and these pain medications mimic the effects of normal steroids, but it might higher concentrations. These pain medications require a prescription, and they’re met to be used on a short-term basis rather than a long-term basis because they come with more serious side effects. As your dog ages and they start to experience common symptoms of joint pain, there are several things you can do to help alleviate your dog’s pain without having to put them through surgery. Natural supplements, weight management, and pain medications can all help to make your dog’s joint pain lessen, and this can lead to a happier, healthier, and a more active senior dog.